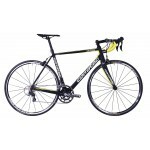 Mountain Trail Travel N/A Weight 14.46kg Expect to be riding terrain previously not explored on a bicycle! Fat tyres provide excellent traction in all terrains such as snow, sand and rocks. Float over your local terrain and remain comfortable while the large air volume soaks up the bumps. This platform is available in a single or a double chainring configuration. 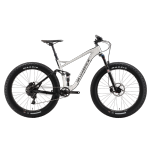 The Bluto suspension fork on the Single Scoop and Scoop Dou..
Mountain Trail Travel 100MM Weight 15.2kg Expect to be riding terrain previously not explored on a bicycle! Fat tyres provide excellent traction in all terrains such as snow, sand and rocks. Float over your local terrain and remain comfortable while the large air volume soaks up the bumps. This platform is available in a single or a double chainring configuration. 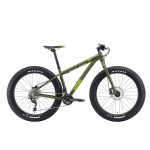 The Bluto suspension fork on the Single Scoop and Scoop Do..
Mountain Trail Travel N/A Weight 14.72kg Expect to be riding terrain previously not explored on a bicycle! Fat tyres provide excellent traction in all terrains such as snow, sand and rocks. Float over your local terrain and remain comfortable while the large air volume soaks up the bumps. This platform is available in a single or a double chainring configuration. 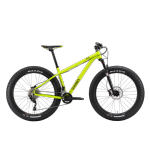 The Bluto suspension fork on the Single Scoop and Scoop Dou..
Mountain Trail Travel 100MM Weight 13.99kg Expect to be riding terrain previously not explored on a bicycle! Fat tyres provide excellent traction in all terrains such as snow, sand and rocks. Float over your local terrain and remain comfortable while the large air volume soaks up the bumps. This platform is specifically designed for kids to enjoy the riding experience of fat bikes. 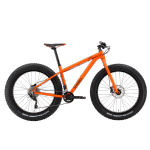 By carefully choosing light and cost eff..
Mountain Trail Travel 100mm Weight 14.67kg Expect to be riding terrain previously not explored on a bicycle! Fat tyres provide excellent traction in all terrains such as snow, sand and rocks. Float over your local terrain and remain comfortable while the large air volume soaks up the bumps. This platform is available in a single or a double chainring configuration. The Bluto suspension fork on the Single Scoop and Scoop D..
Mountain Trail Travel F:120mm R:110mm Weight 15.11kg The Square trail bike is a great platform to promote the bump eating, traction hungry and plush comfort of 3.0” wide tyres. The tyres are mated to 27.5” wide rims for great cornering stability, and together with the IDS Revo suspension technology, create a truly performance driven trail machine that inspires confidence on steep and slippery slopes. The bike has great stand over..
Mountain Trail Travel F:120MM R:110MM Weight 15kg The Synergy range with its 1/3 Concept creates a highly adaptable platform to enable the carbon front triangle full suspension trail bike to cover the three wheel options of Slim (29” with 2.2” tyres), Slimfat (27.5” with 3” tyres), and Fat (26” with 4” tyres) by using different rear triangles. This trail frame has great strength, stiffness, durability and low weight as its core. ..